...with OTIS REDDING! Otis and the Bar-Kays crank up the energy to 11 for a Ready Steady Go special, crashing through "Satisfaction," "My Girl" and "Respect," then "Shake" morphing into "Land of a Thousand Dances" performed by Otis, Eric Burdon and Chris Farlowe. 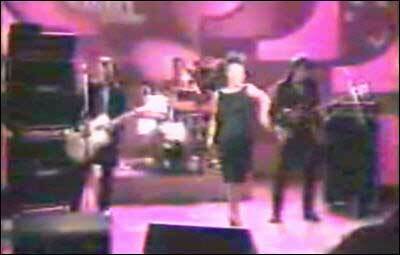 BONUS: from the same special, Eric Burdon covers "Hold On, I'm Coming," while Chris Farlowe covers "It's a Man's World. HAND HABITS advance streams Placeholder. TEEN advance streams Good Fruit. DELLA MAE advance streams The Butcher Shoppe. RYUCHI SAKAMOTO advance streams the 20th anniversary edition of BTTB. MARISSA NADLER shares “Poison” (ft John Cale) and ”If We Make It Through The Summer”. SPIRAL STAIRS shares "The Fool." 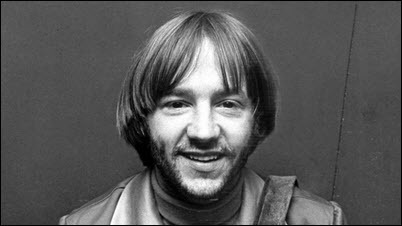 PETER TORK, a blues and folk musician who became a member of the Monkees, the wisecracking, made-for-TV pop group that imitated and briefly outsold the Beatles, died Feb. 21. He was 77. 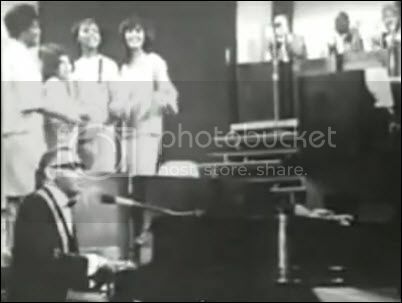 He sang on their novelty number, "Your Auntie Grizelda," but was more a bit more serious sharing the lead with Davy Jones on "Shades of Gray," A versatile musician, he also contributed the harpsichord on "The Girl That I Knew Somewhere" and the jaunty piano on "Daydream Believer." And got a bit more psychedelic on tracks from Head, writing "Can You Dig it?" (sung by Micky Dolenz) and "Long Title: Do I Have to Do This All Over Again?" And in the movie of Head, Tork is featured in the segment using Gerry Goffin and Carole King's "As We Go Along." But my fave of his may his co-written "For Pete's Sake," which became the TV show's end theme. BONUS: The Monkees episode of the Political Beats podcast (which is not a politcal podcast at all) is still geat listening. ALEX CHILTON: Aquarium Drunkard essays his Great American Songbook period and his N'awlins blues period. KEITH RICHARDS, Lord of the Undead, says kicking heroin is easier than quitting smoking. CHASING RAINBOWS: Inside the battle between Radiohead and EMI's Guy Hands. THE NUMBER ONES looks at the dusty and countrified "Heart Of Gold," Neil Young's only massive chart hit. NOW SHOWING: This weekend's new releases include How to Train Your Dragon: The Hidden World, which is currently scoring 92 percent on the ol' Tomatometer; Fighting With My Family expands wide scoring 93 percent; and Run The Race expands to ~850 screens but unscreened for critics. THE OSCARS' backstage drama may be better than the telecast. JUSSIE SMOLLETT may get suspended from Empire after being charged with filing a false police report. MICHAEL JACKSON's estate is suing HBO over its upcoming documentary Leaving Neverland, claiming the company violated a nondisparagement agreement made when it aired a Jackson concert in 1992. MILEY CYRUS is profiled by Vanity Fair. ROCKETMAN: The Elton John biopic has a new trailer online. THE TWILIGHT ZONE reboot has a trailer online. DRAGGED ACROSS CONCRETE, ft Mel Gibson and Vince Vaughn as disgraced cops, has a trailer online. THE 50 BEST MOVIE SCORES, according to Pitchfork. 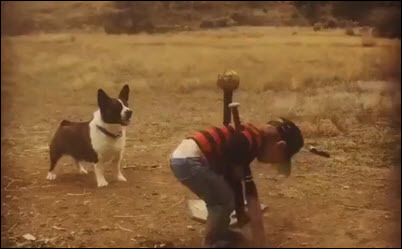 A BOY AND HIS DOG play Tee-ball. THIS TORTOISE was thought to be extinct for 100 years— until now. A HAPPY GATOR gets a scrubdown. EARL THE LLAMA needed killin'. That's how the ballad will begin. 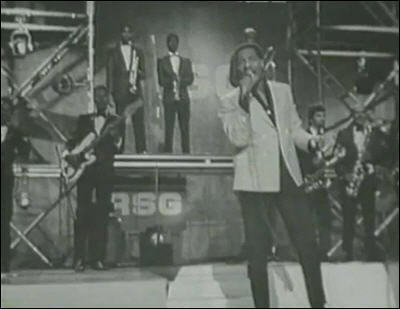 THE FOUR TOPS: Levi Stubbs works up a sweat on live French TV, belting out a supercharged "I'll Be There." NELLIE McKAY plays the Mountain Stage. DOROTHY stops by The Current for a chat and mini-set. THE CACTUS FLOWERS also stop by The Current. BOB MOULD talks to Stereogum about his '00s DJ stint, writing the theme for The Daily Show, his friendship with Dave Grohl, Sunshine Rock, and more. BUFFALO SPRINGFIELD's misunderstood-but-understood "For What It's Worth" gets an American Anthem essay. NIRVANA: Kurt Cobain would have turned 52 this week. Brooklyn Vegan has 15 great covers of Nirvana songs and their 15 best non album songs. THE NUMBER ONES looks at Nilsson's grand, theatrical power ballad "Without You". JUSSIE SMOLLETT is now officially classified as a suspect in a criminal investigation by the Chicago Police Dept. for filing a false police report... and as of this writing he's reportedly been charged with felony disorderly conduct. Local media obtained exclusive video of two men linked to the attack on the Empire actor Jussie Smollett buying a red hat and ski masks from a store the day before the assault. KYLIE JENNER is having enormous trouble processing the revelation her best friend was involved in a cheating scandal with her sister's baby daddy. GWYNETH PALTROW files a counter-suit alleging she was the real victim of a skiing accident. CHRIS HEMSWORTH s set to portray wrestling superstar Hulk Hogan in a biopic. GHOSTBUSTERS: Jason Reitman promises the reboot reboot that will “go back to original technique and hand the movie back to the fans.” Which will be interpreted as slightiing the 2016 film. CAPTAIN MARVEL is getting good early buzz on social media. RUSHMORE took the movie soundtrack back to school 20 years ago. CHARO talks about her husband's suicide. PUFFERFISH: Dolphins purposely inflate them to get high and pass them around to their dolphin friends. A DOG lost in the California wildfire is reunited with his family 101 days later. THE BERLIN ZOO's POLAR CUB is "a perky, strong girl." 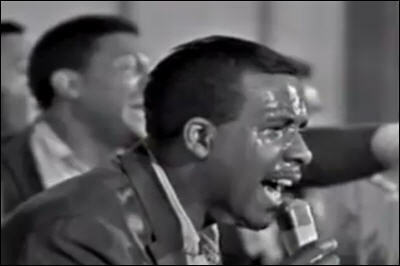 RAY CHARLES plays "What'd I Say" live; he recorded it on Feb. 18, 1959. SUNFLOWER BEAN stops by The Current for a chat and miniset. AIDA VICTORIA plays the World Cafe from Nashville. ALL SONGS CONSIDERED features Palehound, Molly Sarlé, Sego and more. THE DREAM SYNDICATE shares "Black Light." THE BROTHER BROTHERS share a "Siren Song." STRAND OF OAKS shares "Ruby." THE PAISLEY UNDERGROUND: The Dream Syndicate's Steve Wynn, The 3 O'Clock's Danny Benair and The Bangles' Vicki Peterson visit World Cafe to discuss their bands' new joint album. THE GENIUS OF NILSSON, told through eight memorable covers. THE NUMBER ONES looks at Al Green's transcendent soul classic "Let's Stay Together." JUSSIE SMOLLETT is under investigation by the FBI and the US Postal Inspection Service. His role on Empire is being slashed. ARMIE HAMMER denies rumors he will be the next Batman. LADY GAGA & CHRISTIAN CARINO ended their engagement. KHLOE KARDSAHIAN & TRISTAN THOMPSON have called it quits 10 months after his cheating scandal. THE LORD OF THE RINGS: Amazon Prime hints at how far back the series will go. THE 50 BEST MOVIE SOUNDTRACKS, according to Pitchfork. EMMA THOMPSON, who had begun recording one of the voice roles in the upcoming animated feature Luck, has quietly left the project because of concerns about working with John Lasseter. KITBULL: A Pixar short dropped online. KARL LAGERFELD, the most prolific designer of the 20th and 21st centuries and a man whose career formed the prototype of the modern luxury fashion industry, died on Tuesday in Paris. He was 85. BRUNO GANZ, a Swiss-born actor who was best known for playing Adolf Hitler cooped up in his Berlin bunker in the highly-memed 2004 film Downfall and for portraying an angel in Wim Wenders’s Wings of Desire in 1987, died Feb. 16 at his home in Zurich. He was 77. A DOG joins in petting a cat. BIG JUMP for a small dog. INSECTS will not disappear over the next century, but there's more to the story. JUSTICE the eagle is missing, and his partner, Liberty, had to spend her Valentine's Day fending off homewrecker Aaron Burrd. Bad eye, slow "news"... and yet, Things. I WANT CANDY from The Strangeloves and a super-charged Bow Wow Wow for Twofer Tuesday. THE ELVIS '58 COMEBACK SPECIAL got an all-star anniversary tribute on NBC. The Current notes how it set the template for decades of music specials. HAND HABITS: Meg Duffy covers Fleetwood Mac, A.A. Bondy, and Simon and Garfunkel for a Lagniappe Session. MACY GRAY stops by the World Cafe. PAVEMENT gets about two and a half hours of discussion and analysis on the latest Political Beats podcast, with guest Jeff Pojanowski, professor at Notre Dame Law School. BLOODSHOT RECORDS co-owner Nan Warshaw has “stepped away” from the label after Lydia Loveless alleged years of misconduct by Warshaw's partner. MANDY MOORE, on her ex-husband Ryan Adams. THE NUMBER ONES looks at Don McLean's sprawling classic-rock lost-innocence portrait "American Pie." JUSSIE SMOLLETT, upset after a racist letter sent to the show’s studio didn’t get a “bigger reaction,” is suspected of paying two men to attack him a week later, according to multiple sources with direct knowledge of the investigation. R. KELLY: A grand jury is empaneled in the wake of new allegations against the singer. THE PUNISHER and JESSICA JONES are canceled as Netflix completes its Marvel purge. RACHEL WEISZ “has helped save my life in a number of ways,” writes Hilton Als. PRINCES HARRY & WILLIAM prepare to divide their joint royal household. OFFICE SPACE Turns 20: How Mike Judge brought flair, assclowns and red staplers to the world. GODZILLA: KING OF THE MONSTERS drops a new TV spot. CATS are among the smartest creatures in the animal kingdom. Then there's Gary. THOSE TWO BOILED EGGS: Have you seen them? BIG TIBERIAN MASTIFF is Big. THE TIGER discovered this week in the garage of an abandoned Texas home by someone who'd gone to smoke weed has been moved to its new home. Eye is still on the mend, but I have Things. 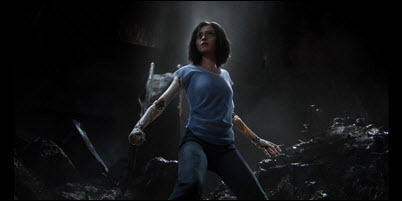 WEEKEND BOX OFFICE: Alita: Battle Angel tops the chart with 27.8MM (and 36.5MM since opening), which is both better than some projections and yet not good against a 170MM production budget. It's doing considerably better overseas though (almost 100MM), and has yet to open in Japan or China. The LEGO Movie 2 places with 21.2MM on a 38 percent drop; it may make 100MM domestic, whereas the first one made more than 250MM. Isn't It Romantic shows with 14.2MM (and 20MM since opening) ans will quickly recoup its 31MM production budget. What Men Want also took advantage of Valentine's Day and scored another 14.2MM on a 40 percent drop; it's doing fine against a 20MM budget. Happy Death Day 2 U, which many thought might top the chart, rounds out the Top Five with 9.8MM (and 13.5MM since opening) against a 9MM budget; the original had a 26MM debut. JUSSIE SMOLLETT may have paid two men to orchestrate the assault on him, sources tell CNN. Two suspects in the case were released by the police. 50 CENT may have been threatened by an NYPD commander (who denies it). BECK has filed for divorce from his wife of nearly 15 years, Marissa Ribisi. ORLANDO BLOOM and KATY PERRY are engaged. DARREN CRISS married longtime love Mia Swier on Saturday. THE OSCARS: After days of protest and backlash, the Academy has reversed its initial decision to air four categories during commercial breaks. ALSO: 20 Oscar Voters Spill Their Secrets. THE WGA AWARDS went to these folks. Congrats! LOKI: Marvel's streaming show has picked up Michael Waldron (Rick and Morty) as a showrunner. Sources say the show will follow Loki as the trickster and shape-shifter pops up throughout human history as an unlikely influencer on historical events.